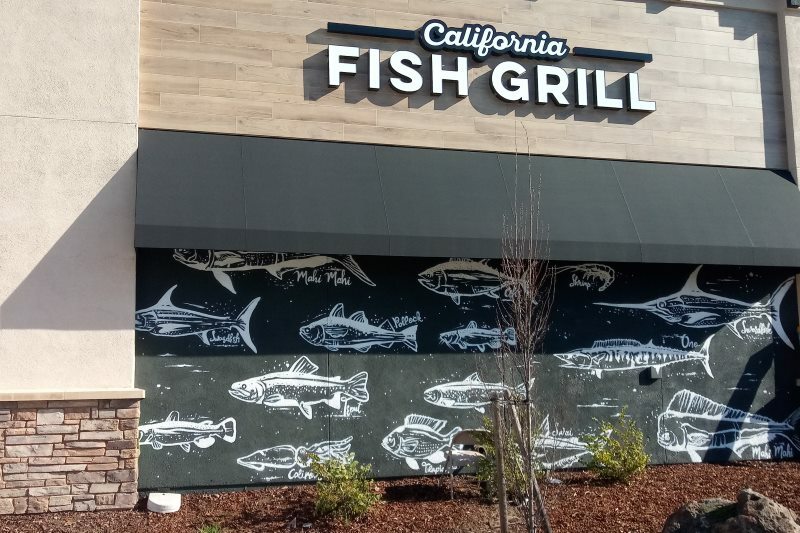 Drivers travelling along Sunrise Boulevard near Madison Avenue have likely seen prominent new signage and a fish mural on the building where California Fish Grill will be opening on Monday, Feb. 11. A soft opening will also take place on Feb. 10 for vendors, family and guests. The Southern California chain’s 26th location, and the fourth in Northern California, at 5406 Sunrise Blvd., is in the Capital Nursery shopping center across from Smart & Final. The new restaurant was formerly home to Moe’s Southwest Grill, which closed in late 2017 after being open for just over a year. Thirty staff are being hired for the new location, including 15 waitstaff and 15 in the kitchen, said restaurant spokesman Mario Martinez, who will serve as assistant general manager of the Citrus Heights restaurant. The restaurant chain is known for partnering with fisheries as well as the Monterey Bay Aquarium Seafood Watch program to offer a wide variety of fresh “responsibly sourced” seafood. A sample menu provided to The Sentinel lists meals ranging from $8.50 for a popular combo meal of seafood tacos with a drink and rice and beans on the side, to $13.99 for a grilled dish of giant shrimp and two sides. Customers will be able to choose from between 15 grilled specialties, prepared in either a garlic butter sauce or seasoned olive oil. A Chimichurri sauce or Cajun style are two additional flavorful options. Specialties include several varieties of salmon, Steelhead, Ahi tuna, Tilapia, catfish, scallops, rainbow trout, rockfish and Hawaiian swordfish. California bowls start at just under $10, with options for Chimichurri chicken, cilantro lime salmon and coconut curry shrimp — served over white or brown rice. Children can enjoy a variety of fish and chip combos starting at $4.75, which include fries or kale slaw and bottled water. California Fish Grill’s Arden Way location opened in late 2018, which was where Martinez worked before coming over to Citrus Heights to staff the new location. Like the Arden location, the Citrus Heights restaurant features sit-down eating with orders taken at the counter, a self-serve salsa bar along with fresh cilantro, and a large menu of seafood and veggie options. Outdoor patio seating is also offered. The Arden restaurant has already earned an average of 4.5-out-of-five stars from more than 60 reviewers on Yelp, with popular picks including a Salmon and Swai combo, Cajun Catfish, New England Clam Chowder, kale slaw, and a Brussels sprouts dish with a balsamic glaze and topped with parmesan cheese. The fish grill’s Citrus Heights location will be the latest restaurant to join the Capital Nursery Plaza, which first opened in 2016. Other restaurants in the plaza include Black Bear Diner, Jimmy John’s sandwiches, and McDonald’s.